Posted: Tuesday, June 16, 2015. 3:49 pm CST. Tuesday, June 16th, 2015. 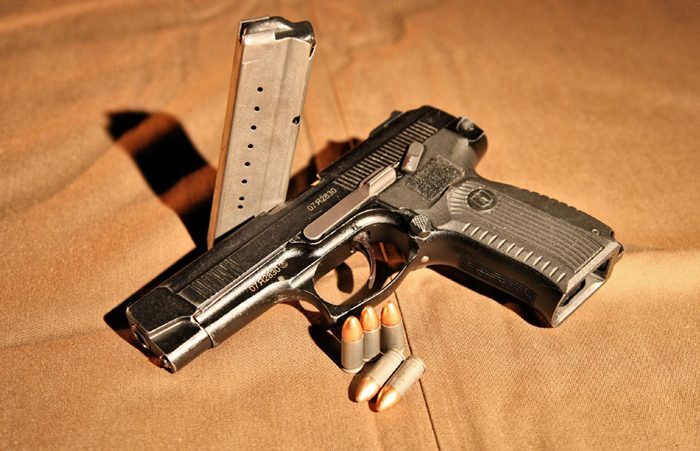 BMG: Police in the west have since arrested and charged 37 year old Melhem Kelly from Orange Street in San Ignacio in the Cayo District for the crime of attempt robbery and possession of unlicensed firearm. 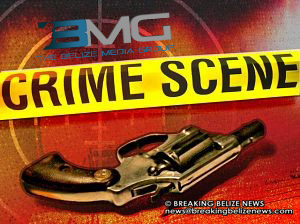 Reports are that on Monday, June 15th, around 10:05pm, they received and responded to a call of a robbery in progress at Chuc’s Gas Station located on Bullet Tree road. Police investigations indicate that around 10:00 p.m. 56-year-old pump attendant at the gas station was approached by a male person who pointed a firearm at him and demanded money. Upon seeing this, 28-year-old security guard intervened and approached the robber with a machete where a struggle ensued between the robber and the security with both receiving injuries. Police detained 37-year-old Kelly Police also recovered a six shooter Rusty and chrome .38 special with serial number 3475 loaded with (3) 9mm live rounds.